DynamicDestony is a group that makes energetic and pulsating electronic dance music. They cover all styles of dance music and fuse it into their own unique sound. DynamicDestony is Music That Moves You. 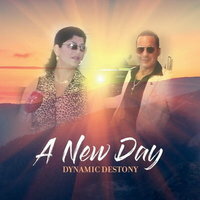 Tony Carlucci & Dynamic Destony Releases New LP "A New Day"